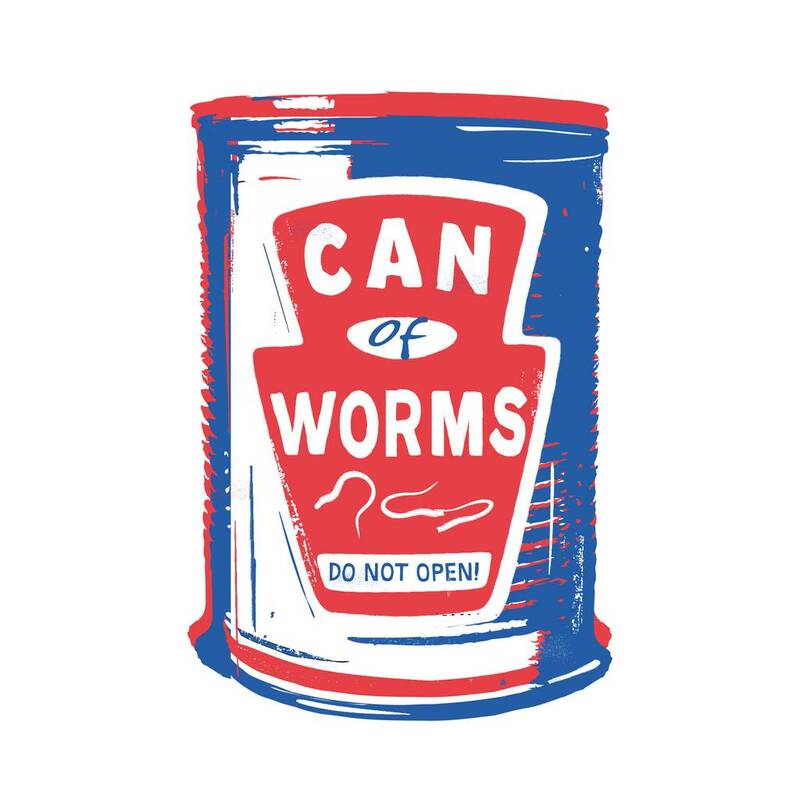 'Can of Worms' limited edition pop art print by Lou Boyce. 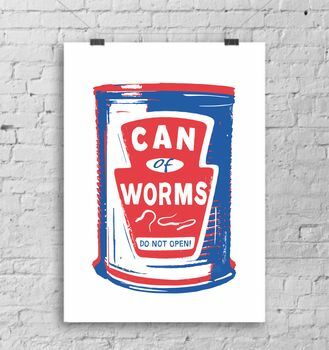 If you’ve ever thought to yourself ‘now why did I have to go and open that can of worms?’ then this art print is for you! 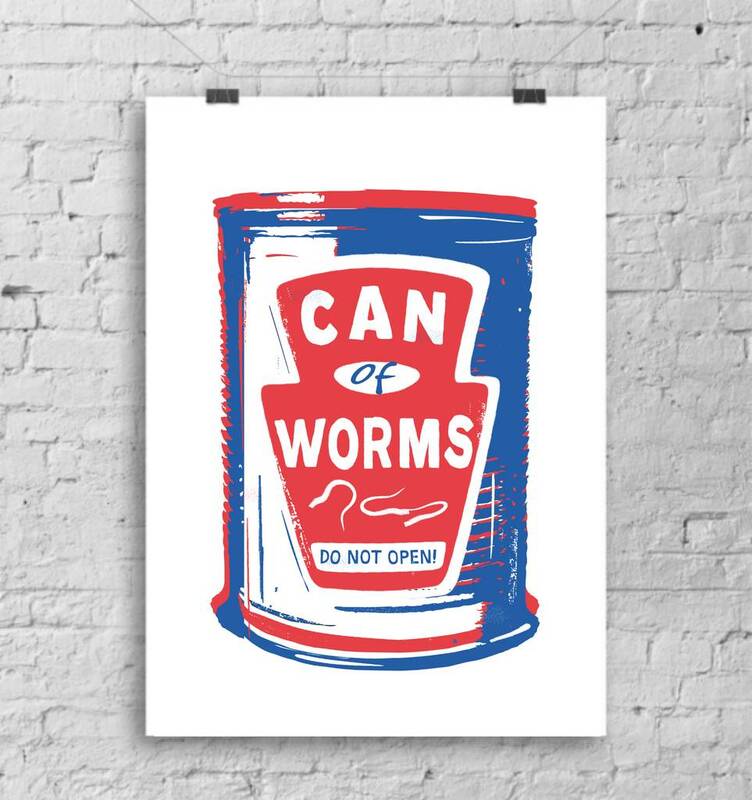 Just put it up somewhere in plain sight as a little reminder to yourself that some things are best left alone…..
As well as serving an important reminder, this aesthetically pleasing zingy red, white and blue pop art print will also look great on your wall! Limited edition runs of only 25 in both A4 (£20) and A3 (£32) sizes. Your print will be signed by the artist before being packaged in a flat card backed envelope for protection. Printed on heavyweight paper stock (prints are designed to fit in a standard A4 or A3 frames). Smooth heavyweight 300 gsm paper stock. This product is dispatched to you by Lou Boyce.